How our Digital Marketing campaign helped Spacewood - A Leading Furniture Manufacturing Brand to Establish an Online Presence in 9 Cities of India? Spacewood has been counted amongst India’s top brands in furniture manufacturing. Despite the tremendous brand recognition they enjoy amongst B2B & B2C consumers; their share of natural search traffic was low. Our services were hired to improve their online reach, and keep pace with competitor’s marketing strategy. Through research we identified areas that had scope for improvement. By sticking to the basics we made some substantial improvements on-site and offsite; and were able to bring about remarkable results in a short span of time. We identified pockets that were major markets for their business and decided to focus our efforts on promoting them online there. We created nine Landing Pages and optimized them for 9 independent markets (cities). 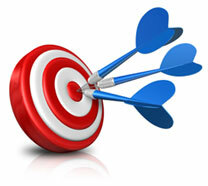 The SEO strategies adopted by us were widely accepted and organic in nature. The landing pages were seamlessly integrated with the rest of site. At stage two, these pages were extensively marketed. For marketing them online in different cities, we were able to uncover some great opportunities which helped them build traffic. As a result the website received a big boost in traffic from various markets. The impact was visible in the business enquiries that Spacewood was generating from various cities & clients who had found them in organic searches. Our strategies improved Spacewood’s reach & ranking; plus traffic, enquiries, and conversions also improved. Our Digital Marketing wing offers practical solutions to improve visibility of your business online. Contact us for a one-on-one discussion Confidentiality is an unspoken rule here.